How can my business have the best website design in Westchester County, NY? Well, you’ve come to the right place! Your website is no longer just a billboard for your business. Your website is now a 24/7/365 virtual sales force working for you even when you are not working. And, people online do judge a business by its website, so first impressions do matter. Recognizing this fact is the first step in creating a website that will garner the customers and sales you need in order to be successful. There are 5 must-haves for a website to work efficiently as your lean, mean lead generation machine. If you follow these web standards, you’re on your way to a flourishing business. And because all visitors to your website are potential customers, we’ll be referring to them as just that, customers instead of visitors or users. Do you recall the days when everything was listed out and explained in detail on websites? That is not the case today. Having said that, content is still king and there is a place for that, such as your blog. Your blog is custom content where you can use details to showcase your expertise and educate your consumer. Updating this daily, weekly and even monthly, will keep your content fresh and current. 82% of consumers feel more positive about a company after reading custom content. The rest of your website should focus on promotion and sales. Don’t inundate your website with copy that will overwhelm your customers. Instead, convey your message in digestible bites using visuals such as images, videos, infographics, etc. Now you’ve captured the customer’s attention and he or she can navigate through your site more seamlessly without getting confused. 38% of visitors will stop engaging with a website if the content or layout is unattractive. Create an emotional connection with your customer. You want your customer to make their buying decision based not only on using their head, but also with their heart. Your website should be a multi-sensory experience rather than a static, one-dimensional, multi-page overload. Using video and image sliders is a great way to keep your customer engaged. Social sharing also allows the customer to interact with others about your products and services. Adding a CTA (call-to-action) is a must. More than 90% of visitors who read your headline also read your CTA copy. This is the ideal way to motivate your customer into actually doing something within your site. Case in point, we offer a FREE E-Book if you sign up for our e-newsletter. It’s all about granting your customer the opportunity for 2-way communication. No longer is having a mobile-friendly (responsive) website a luxury, it’s a must! 85% of Americans online use a mobile device to access the web, and this number just keeps growing. If the majority of your customers are using their tablets and smartphones to look at your website, you better be sure they can easily see (and get to) what they’re looking for. On a desktop it takes 7-8 seconds to determine whether you want to stay on a website. On a mobile device it’s only 3-4 seconds. If you don’t facilitate the visibility and navigation of your website on a mobile device, those who come to browse and shop on your site will immediately leave and go somewhere else. And what does this mean for your business…lost sales. 62% of companies increased their sales by designing responsive mobile platforms for their websites. In addition to keeping the current customer happy, a mobile-friendly site also helps to gain potential new customers by way of search engine optimization (SEO). This means that having a mobile-friendly (responsive) website improves your rankings on search engines such as Google, Yahoo and Bing. Always keep in mind the old adage, “the customer is always right.” Everything discussed above ties this all in together. Using the Camp Kennybrook website again as an example, we’ve followed all the 5 website must-haves. Being that it is a 68+ page website, we needed to make sure it was easy to navigate and very intuitive. We’ve grouped each target audience, “Current Families” and “Prospective Families,” into their own menu items. 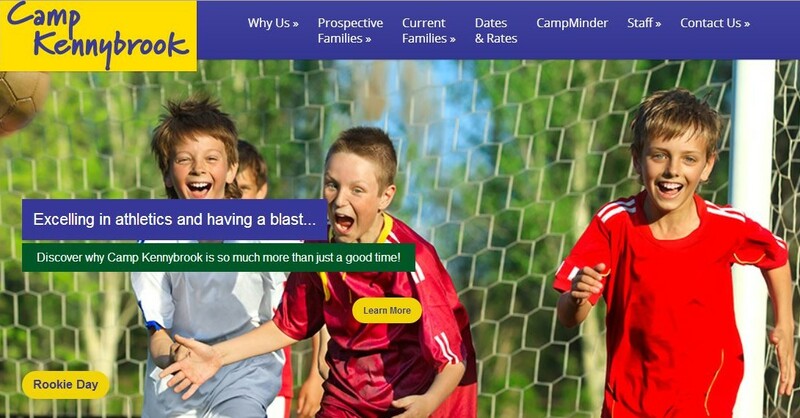 So whether you are a parent of a current camper, or a parent looking for a sleepaway camp, you immediately know where to go for more information. Also, make sure the customer knows how to reach you. Place your phone number and/or email and contact form where it is easily visible and accessible on your website. 44% of website visitors will leave a company’s website if there’s no contact information or phone number. 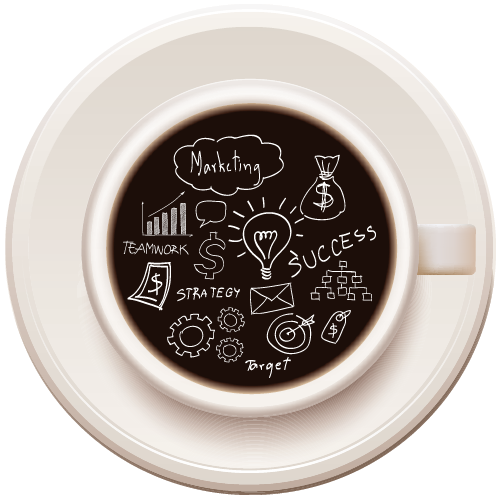 The purpose of your website is to build brand awareness, highlight your expertise and generate leads. If you incorporate all the 5 website must-haves, you are well on your way to just that. If your website doesn’t have any, or even some, of the 5 must-haves, don’t worry we’re always here to help. At Exceller Marketing, we can build your website into a lean, mean lead generation machine. Contact us today for a FREE Consultation on website design. We are currently offering a FREE Website Audit. There’s no obligation, so take advantage and see if your website is in need of help, and we’ll get you on your way to the best website design in Westchester County, NY! Best regards, until next time! 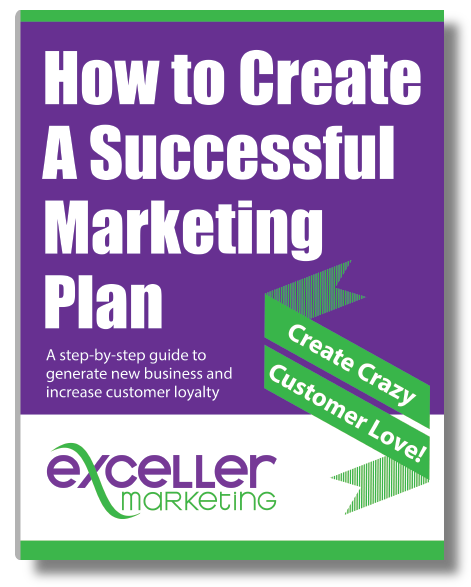 Founder and Chief Consultant, Exceller Marketing, Inc.
Exceller Marketing is a full-service marketing firm and website design agency servicing small and medium businesses, as well as entrepreneurs in Westchester County, NY and the tri-state area. With powerful traditional and digital marketing communications, coupled with business development, we keep our clients ahead of their competition.